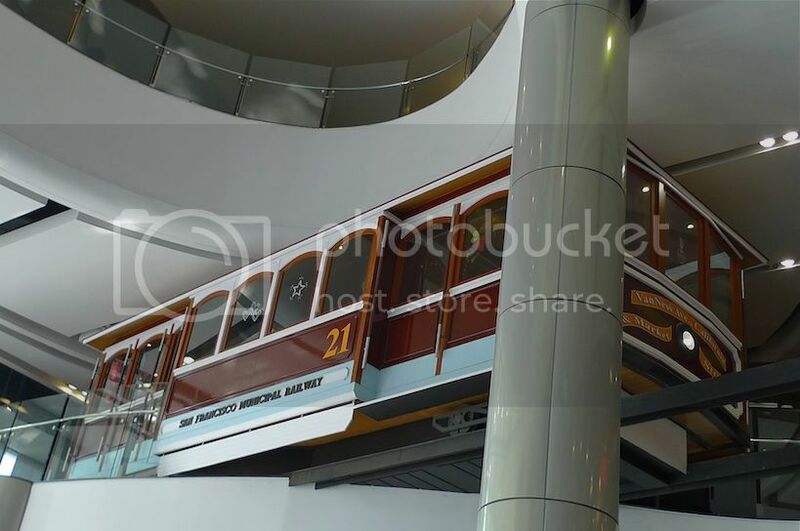 While my friend and I were admiring the Istanbul lights on the third floor of Terminal 21 shopping mall in Bangkok, we saw a strange structure that looks like a tram on the fourth floor above us. 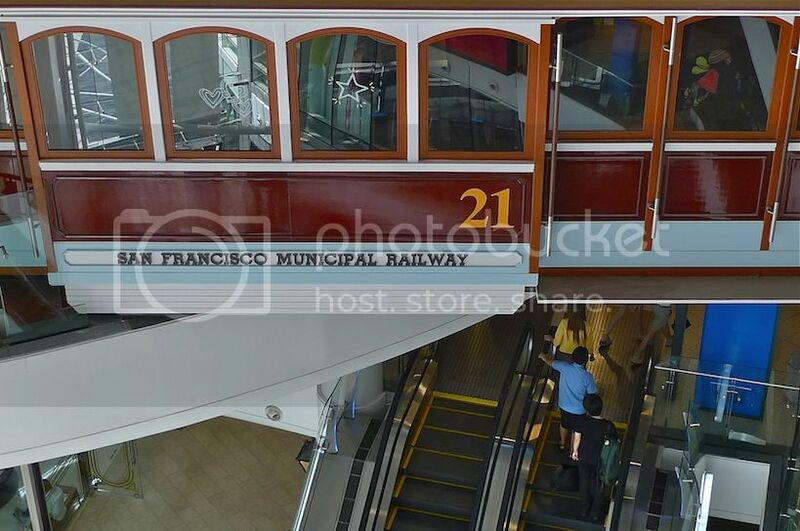 So besides a double decker London bus, Terminal 21 also have a tram? 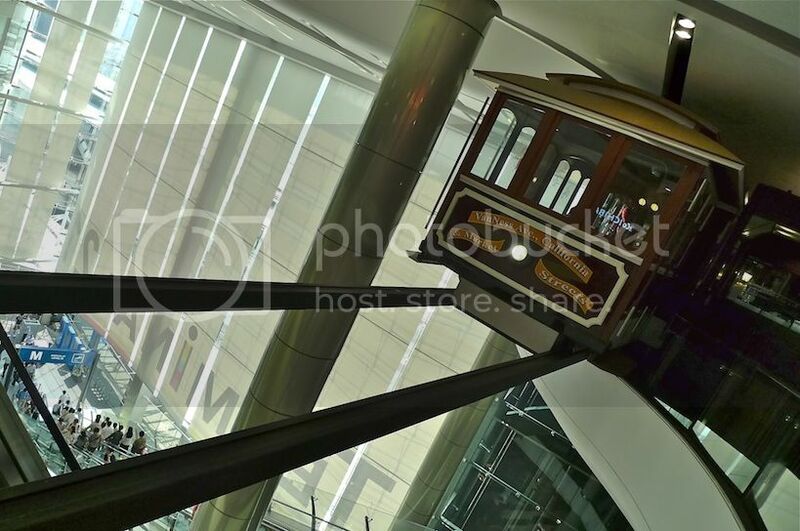 We went up to the fourth floor which is the San Francisco - themed floor. 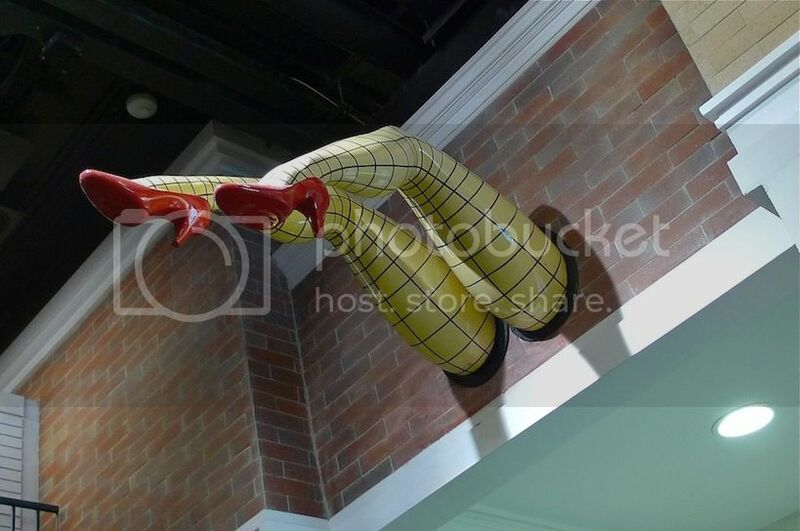 Can you see that pair of legs with red high heels jutting out from the wall? 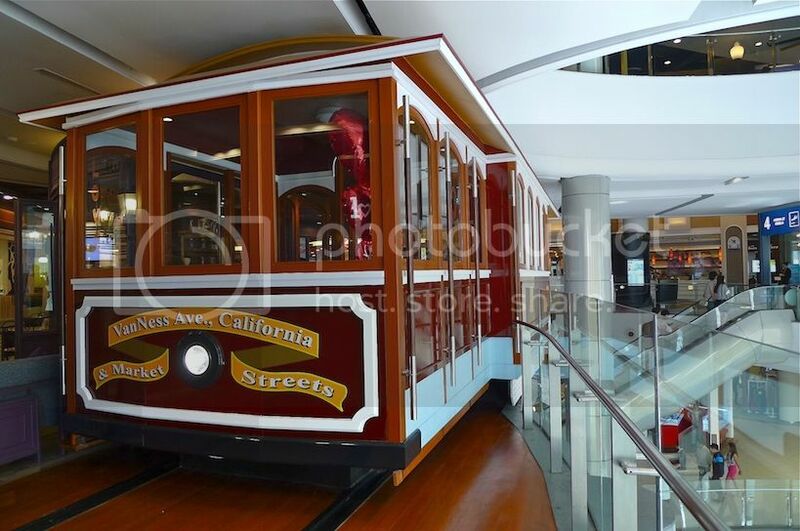 This is the San Francisco tram. No, it cannot move if that's what you are thinking. But it would be really cool if it could right? LOL! It's actually part of the restaurant next to it! 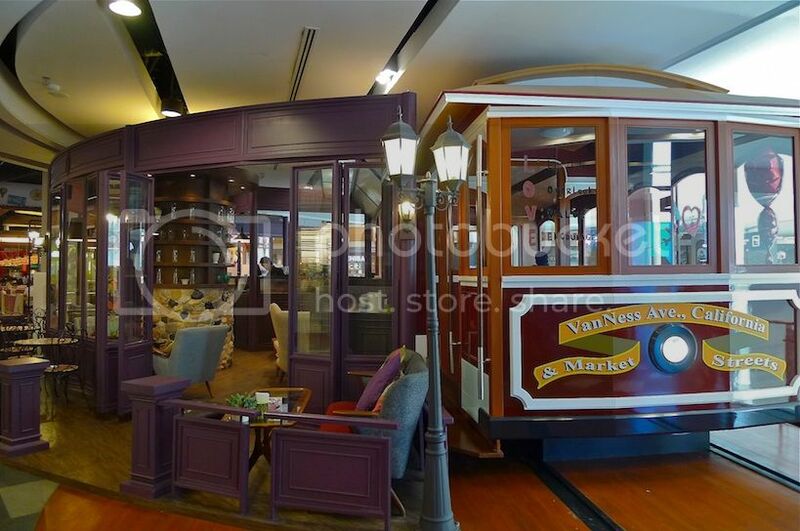 Perhaps I will dine here the next time and pretend I am inside a real San Francisco tram. Haha! On the way up to the fifth floor, we saw this. Not exactly sure what it was, but it's nice right? 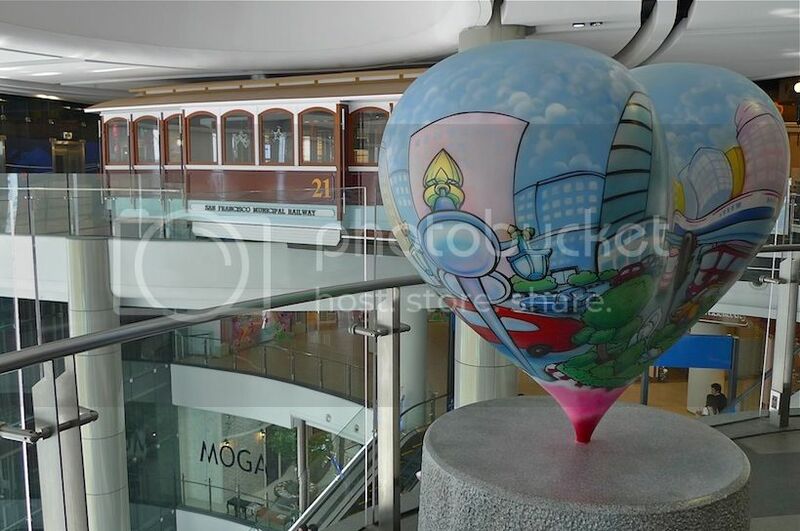 The tram as seen from the fifth floor. 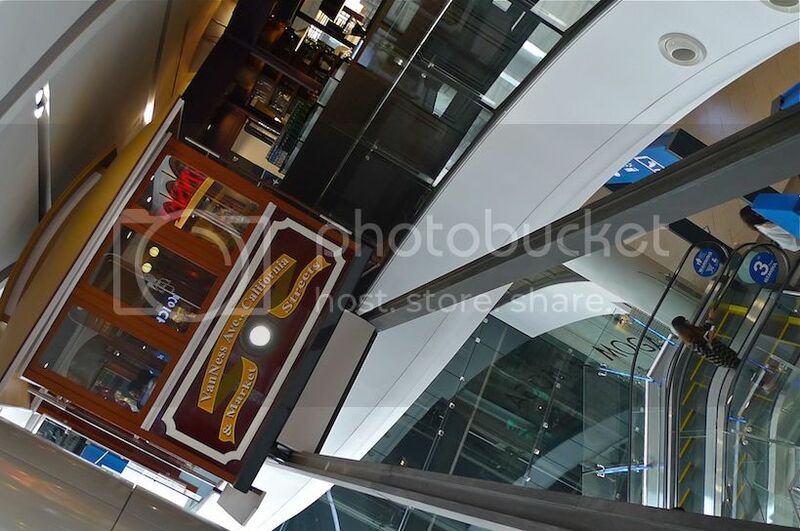 This wraps up my posts on Terminal 21 shopping mall, the newest mall in Bangkok at the moment. 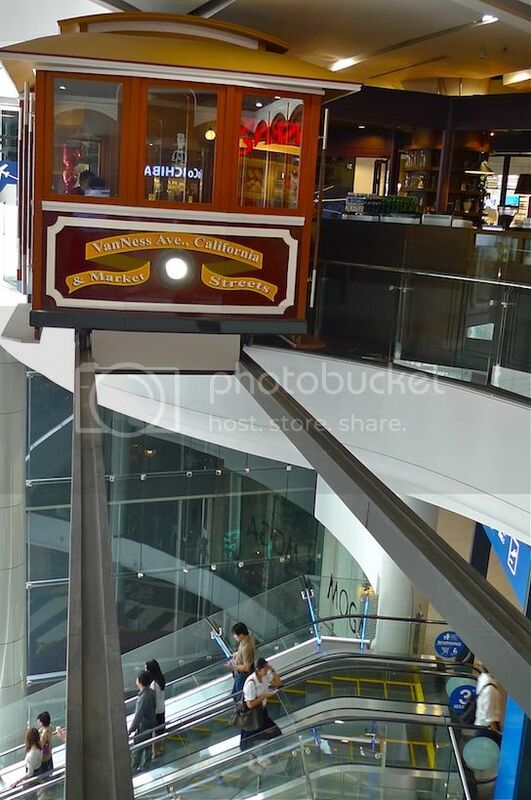 I highly recommend a visit to this mall if you ever travel to Bangkok. 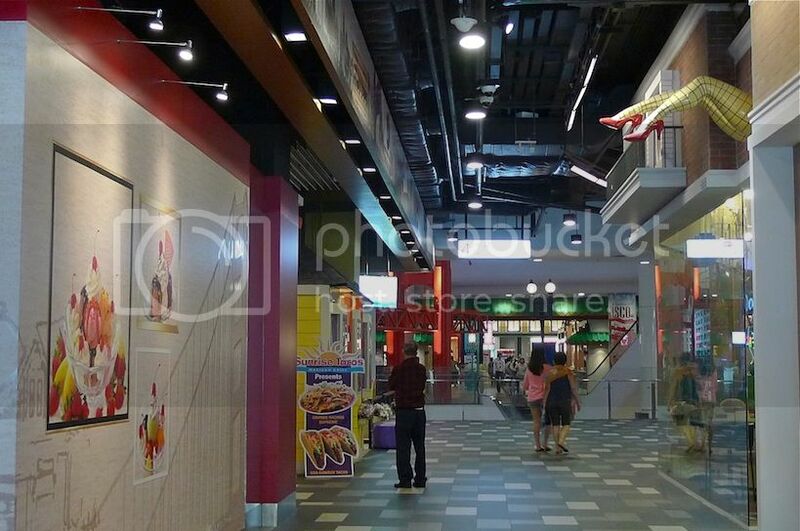 In case you miss some of my posts on Terminal 21, check out the links below. 6. Meet The Sumo Wrestlers In Terminal 21 Bangkok! Coming Up Next : Pandas Galore At Hong Kong's Ocean Park!